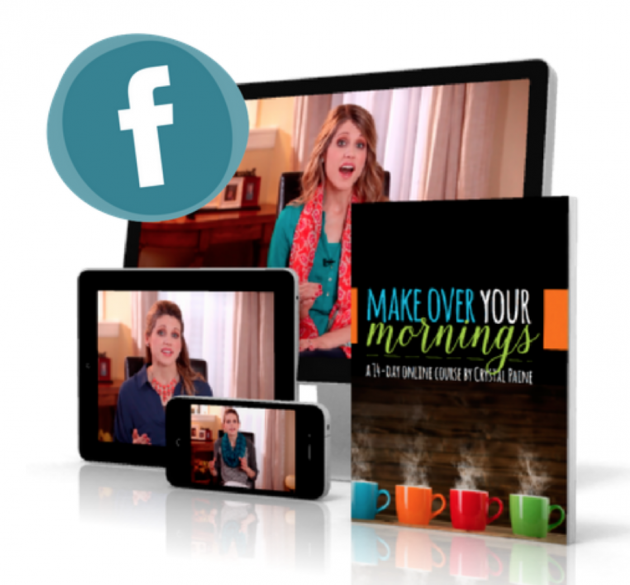 Last chance to sign up for Make Over Your Mornings LIVE! Psst! Just a quick reminder that registration for Make Over Your Mornings LIVE ends tonight at midnight! Don’t miss out! 3 years ago, I launched Make Over Your Mornings, a 14-day online course to provide step-by-step guidance to help you start your days well. Since it launched, over 30,000 women have gone through it and we’ve received dozens and dozens and dozens of emails from people around the world sharing how this program has impacted their lives. And many people have asked if there’s a way we could make it more interactive or if we could set up some sort of accountability to go along with it. 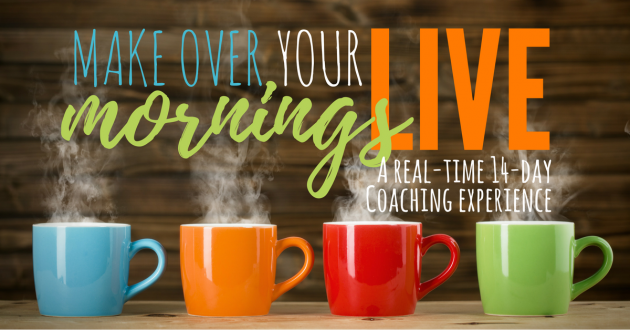 Well, to celebrate the 3-year anniversary, we are opening up the doors to Make Over Your Mornings LIVE — a 14-day online coaching experience! This is for you — whether you’ve already gone through Make Over Your Mornings and feel like you could use a refresher and some accountability and cheerleading while you go through it again or if you’ve never been through the course before and would love to get some practical help to set up your mornings for success! The 14-day program begins on April 9, 2018 and will run LIVE for 14 days. 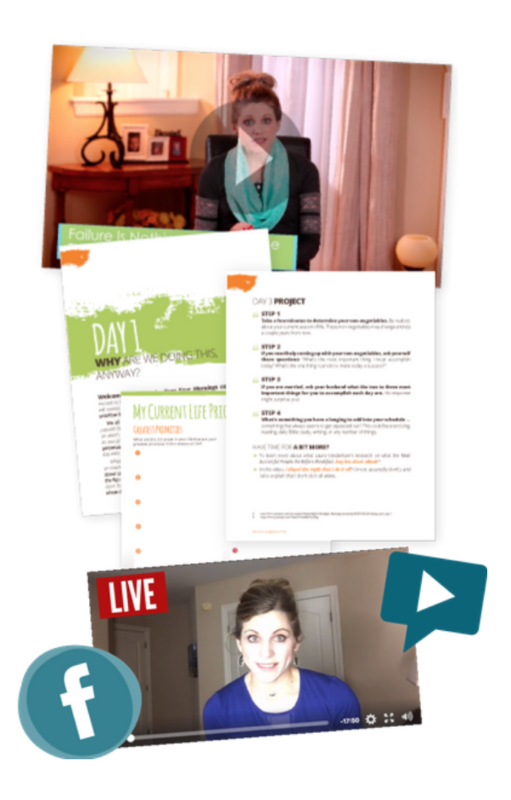 Each day, we’ll be discussing the specific lesson and projects from Make Over Your Mornings — but in a live format. April 9 — Program starts on Facebook with our daily check-ins! April 24 at 8 p.m. CST — Final one-hour BONUS coaching session — LIVE Ask Me Anything! Replays will be available for all coaching sessions and everyone will have lifetime access to the archived group (including replays!) after the group ends. If you’ve already purchased Make Over Your Mornings, registration is just $15! That’s like paying about $1 per day for accountability and motivation to get great morning habits in place so you can have less chaos and more order, less stress and more joy! Go sign up here — registration is only open until April 9, 2018. After that, it won’t be open again for a number of months. Any questions? Leave a comment and I’ll do my best to answer them! Shoot! I leave for a cruise on the 9th – I hope this goes so well you offer it again. What if I don’t have a Facebook account. (We don’t do Facebook.) Can I still access it? It’s all hosted on Facebook because that allows us to offer it to a large number of people at a very affordable price. Some people create a private FB account for it that they don’t connect with their friends.